Find the length of the radius of a circle given the circumference is . Find the radius of a circle inscribed in a square that has a diagonal of . Notice that the diagonal of the square is also the hypotenuse of a right isosceles triangle whose legs are also the sides of the square. 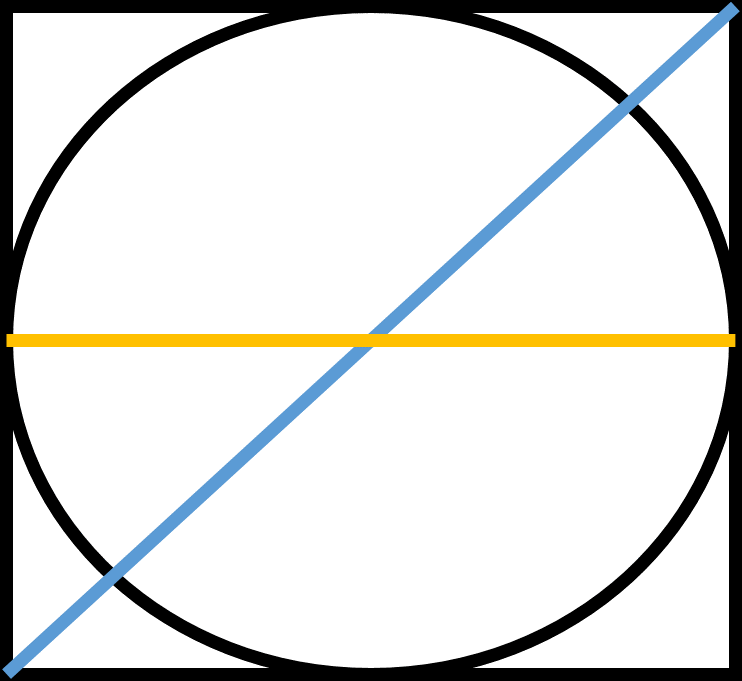 You should also notice that the diameter of the circle has the same length as that of a side of the square. In order to find the radius of the circle, we need to first use the Pythagorean theorem to find the length of the side of the square. Now, substitute in the value of the diagonal to find the length of a side of the square. Recall the relationship between the diameter and the radius. Substitute in the value of the radius by plugging in the value of the diameter. Find the radius of a circle inscribed in a square with a diagonal of . Find the length of the radius of a circle inscribed in a square with a diagonal of . Find the length of the radius of a circle inscribed in a square that has a diagonal of . Texas Christian University, Bachelor of Science, Communication, General.